Most IT departments barely have enough time to keep the lights on, much less optimize and plan for the future. 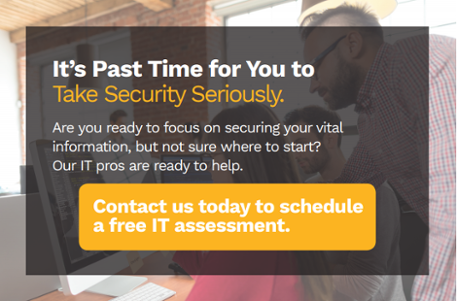 Do you worry that your IT infrastructure is holding your business back? Or costing too much? Or isn't secure? Outsourcing some (or all) of your IT infrastructure with a managed IT partner (we like to say partner instead of provider) lets you focus on your business and stop worrying about your technology. A managed IT partner moves you away from the daily grind of managing IT – networks, data backup, maintenance, and more – so you can focus on growing your business. Managed IT delivers peace of mind to go along with a custom-designed IT solution. You get fast, remote support from an IT consultant who understands your network and the best approach to your needs. What happens if you need on-site help? Simple. We send a skilled technician your way. A solution for you. Office1's IT pros get to know your company and offer trustworthy advice based on your specific business needs. Reduced risk. Partner with us and everything you do will be secure. Our cloud-based system undergoes continual maintenance and 24/7 network support. One place to call. We can service a wide variety of IT needs, so you get consistency and convenience – one vendor for you IT needs helps you save time, money, and eliminates frustration. Save money with predictable budgeting. One flat subscription fee covers part or all of your network. Our goal is to save you money. Can you say that about your current program? Better employee productivity. 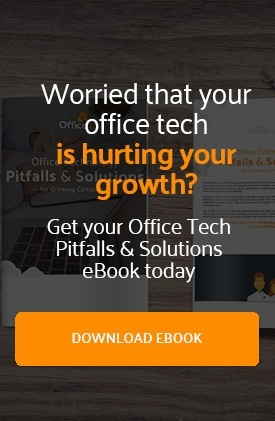 Office1 puts the right technologies in the hands of your employees so they can do their jobs more effectively and efficiently. Quarterly meetings for proactive planning. We'll meet with you to ensure that your current solution is meeting all your needs and continue to optimize the solution to support any changes to your business to help achieve goals and objectives. Strategic Planning. Office1 technology advisors will work with your business leaders and IT team to create an IT roadmap so you always have a crystal-clear vision of your IT future. Proactive maintenance of servers and workstations – updates, patches, fixes, etc. Some managed IT providers try to fit every customer IT need into a round hole – even if their customer's IT need is a square peg. Office1's breadth of services ensures that we can combine services to deliver the exact solution you need for your IT challenges. Wouldn't it be great if you knew what your IT costs were going to be each month? In traditional IT maintenance and repair, something breaks, you pay an hourly rate to fix it. With managed IT, you know your monthly IT costs, no unexpected budget busters. With your managed IT partner's focus on proactive maintenance, up time will be better too. Even better, proactive maintenance helps to prevent technology problems from happening (or nips issues in the bud) with remote monitoring and management combined with our revolutionary proactive service model. We'll fix it before it breaks! As always in business, the reasons come down to money and time. Managed IT services are (almost) always less expensive than buying the equipment, hiring staff, performing maintenance, and all of the 1,001 other tasks that consume your IT department’s time. Those 1,001 tasks also take time – valuable time that your IT staff could be using to focus on improving how to use technology instead of troubleshooting a network problem or tracking down an ISP issue. What's next.? Are you ready to get started on your managed IT journey? That's great, let's talk. We customize the exact solution you need. We take a proactive approach to managed IT, meaning we look at the future of your company and offer services to repair problem areas, cut expenses, and optimize your operations. We build a tailored solution based on where your business is today – and where it needs to be tomorrow. To keep you on the cusp of innovation, we'll continually evaluate your IT and recommend changes as your business needs change. If you're ready to start getting rid of your IT headache, fill in the form below and we'll be in touch for your free consultation! We look forward to helping your business outperform the competition!